There was relief because the concession meant the end to the prospect of an immediate, no-deal Brexit on Friday night. And discomfort because it meant the uncertainty over the long-term future would continue. Catherine McGuinness, policy chair at the City of London Corporation, agreed that the continuing uncertainty would result in more firms moving jobs overseas.“Sustained uncertainty is leaving business with its hands tied, reluctant to make everyday decisions on recruitment, expansion, and investment. While we welcome the avoidance of a catastrophic no-deal Brexit for now, a long extension should not mean we continue to kick the can down the road," she said.“Day by day, as uncertainty persists, so does the threat of more businesses moving jobs and operations away from the UK. It is vital that politicians in the UK and EU come together to agree a withdrawal deal that puts people and business first and provides much needed certainty. Carolyn Fairbairn, the CBI's director-general, said: "This new extension means that an imminent economic crisis has been averted, but it needs to mark a fresh start. More of the same will just mean more chaos this autumn. "Businesses will today be adjusting their no-deal plans, not cancelling them. For the good of jobs and communities across the country, all political leaders must use the time well. Sincere cross-party collaboration must happen now to end this crisis." 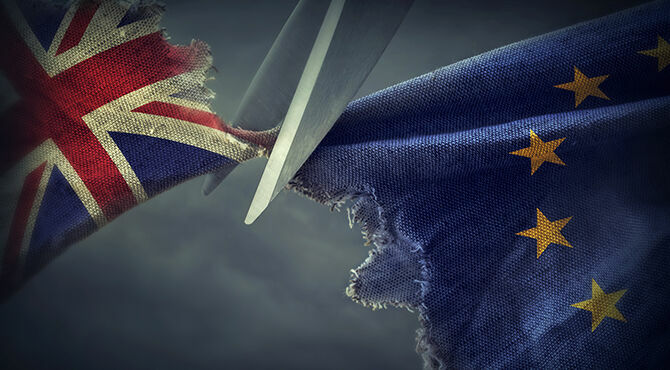 Edwin Morgan, interim director-general of the Institute of Directors, said that while the extension removed the immediate threat of a no-deal Brexit, it would bring little comfort for businesses "when so much remains up in the air". He added: "Firms don't want to see more of the same. They want to see politicians build consensus around a way forward that finally breaks the cycle of indecision. "Westminster absolutely cannot feel the pressure is off now - quite the opposite: we need an increased sense of urgency towards finding a solution." Adam Marshall, director-general of the British Chambers of Commerce, said businesses' frustration with the seemingly endless political logjam had be come "palpable". "For most businesses, the 'flextension' agreed by the European Council will be preferable to deadlines that are repeatedly moved forward at the last possible moment," he said. "This extension buys parliament some time to come to a consensus, but they can't afford to squander it. Politicians must urgently agree on a way forward. "It would be a disaster for business confidence and investment if a similar late-night drama is played out yet again in October. "Our businesses and our communities need answers to plan for the future, and the government must return its focus to pressing domestic issues, which have been ignored or marginalised for too long." Federation of Small Businesses on Brexit: Companies are being "driven to despair"